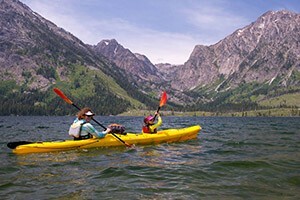 One of the major obvious draws to Grand Teton National Park, and even Jackson Hole Valley, is the Teton Range, whose stunning mountains contain unconstrained adventure within them. The Teton Range, the youngest range in the Rockies, is the focal point of Grand Teton National Park, with its prominent peaks jutting some 7,000 feet into the sky from the surrounding valley. A renowned destination for climbers and mountaineers of all types, the Tetons have a lifetime of peaks and routes that range from easy to extreme, and plenty of undiscovered routes waiting for their first ascent. For those whose goals do not include technical climbing, the 220 mile trail system offers abundant opportunities for hiking and non-technical summits. Grand Teton National Park’s mountains are impressive not only for their geological prominence above Jackson Hole and Teton Valleys, but also for their summit views and the accessibility to remote backcountry areas. The paved park road leads almost to the foot of the peaks, but once you begin making your way toward the middle of the Tetons, you’ll quickly find yourself surrounded by the mountains. 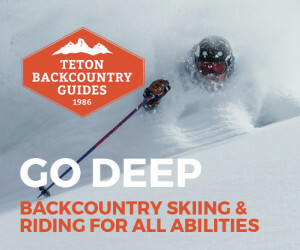 While exploring the Tetons on your own is always a worthy goal, our local guides and gear shops can provide information and help when planning a trip of any type, especially if you’re unfamiliar with the area. But just to whet your appetite, these pages contain a few of the Teton Range’s highlights, described briefly below and in more detail by following the links above. 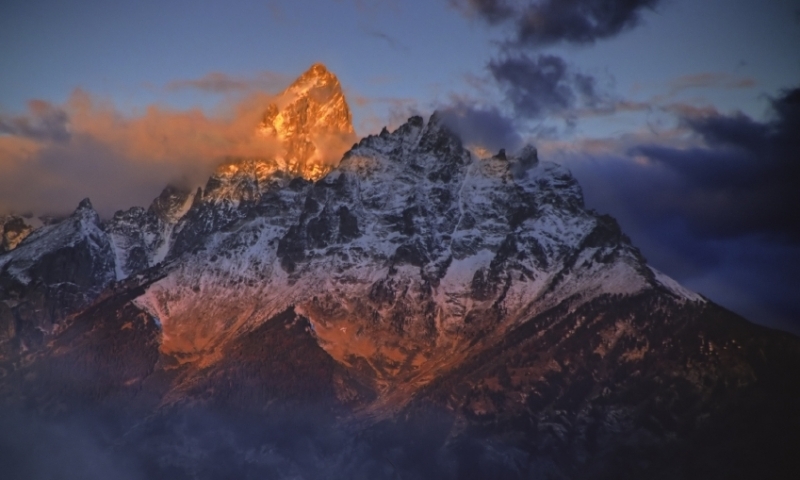 The Grand Teton is the tallest peak in the Teton Range, and probably one of the most sought-after summits as well. With a relatively easy (if long) approach and a technically easy (if exposed) route, the Grand is a popular guided route for those without a strong mountaineering background. Although the Grand is the tallest peak in the Tetons, Mount Moran thwarted climbers for decades after the Grand was first climbed. While it is now regularly summitted, the lack of an ‘easy’ way up makes Mount Moran a must-do for experienced climbers looking for a challenge. The Cathedral Group makes up most of the tallest peaks in the Teton Range, including the Grand, Middle and South Tetons; Mount Owen and Buck Mountain. This group of mountains sits between Cascade and Death Canyons, isolated from the rest of the range. Iconic mountain on the east side of Jackson Hole. Peaks and ranges around the valley.